Providing buyers and sellers of Hermes bags with fast and independent authentication services based on online images and descriptions. As a Hermes specialist authenticator, I know how important it is for customers to receive a prompt response when they need authentication services. My turnaround time is approximately 12 hours or less from receipt of satisfactory pictures and payment of fees. All opinions are on a Hermesexperts watermarked PDF certificate. Service is available 24 hours 7 days a week. • You have already bought a Hermes bag but are worried whether it is an authentic or fake Hermes product? Ask me and give yourself peace of mind. • You want to buy a Hermes bag online but are afraid that you might get scammed? Send me the link to the sale and I will consult you. 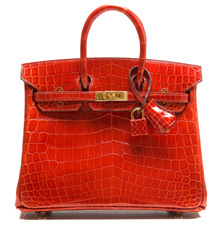 • You are a seller and want to make sure that your Hermes bag is authentic before listing it for sale? I can help. • You represent a consignment shop or another type of business that needs regular authentication services? I would love to work with you and I offer special business pricing. • You bought a fake Hermes bag and need a third-party, independent opinion to dispute the transaction with PayPal or the credit card company? I will provide you with a detailed written Certificate of Non- Authenticity.